Here is a great planner that somehow I have not reviewed before! 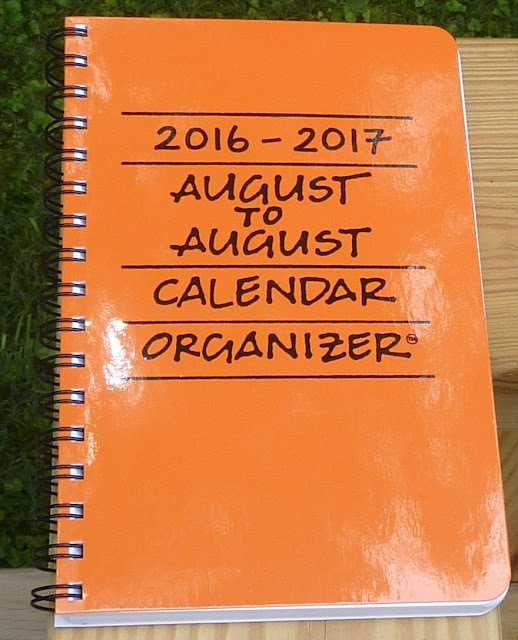 The August to August Calendar Organizer is now in its 30th year of production and is going strong! The August to August Calendar Organizer is a weekly + monthly planner that allows you to plan through the entire school year and summer, into the beginning of the following school year. 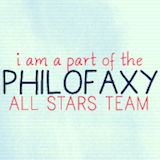 It is designed for students, teachers, parents, and anyone who runs on the school year. The planners are made in the USA with 100% post-consumer recycled paper. The planner measures 5 3/4 by 8 1/2 inches and is lightweight to go easily with you everywhere in your bag, so you can plan on the go. It's hard to find photos online of all the great features of this planner, so I will walk you through the book and show you them all! Photos are my own, published with permission from Mixed Role Productions. I'm not normally an orange person but this Pumpkin color spoke to me! Part of the fun every year is finding out the new cover colors, which vary each year. In addition to Pumpkin, the other colors available this year are Ocean blue, Crimson red, Jade green, and Licorice black. The cover is laminated for durability and so you can wipe it clean. The corners are rounded so it goes in your bag easily, and the metal coil binding is very sturdy. The first page has a place to write your contact information just in case. Next there is an 18 month overview with reference calendars, and spaces to plan or track whatever you need for the whole 18 months. Next are July and August monthly calendars, oriented so you need to turn the book to write in the day spaces. This orientation gives you more writing space in the days. For every month there are pages for notes and for keeping track of your finances. The weekly pages have big day spaces with nothing extraneous to take up valuable page space. The days are timed to the hour to help you plan your schedule. There's plenty of space to write your schedule at the left of the day space and your to do list at the right. US holidays are printed in the day spaces. The unique lettering throughout the planner is hand-lettered, as described in this interview. It's labor-intensive, but customers enjoy the unique look so much they are dedicated to continue it! The pattern of monthly pages embedded in the weekly pages repeats all the way through the end of August. After that there are monthly calendars for Sept-Dec, so you can plan all the way through the end of the year. There is a very handy graph page with 35 squares down and 21 squares across. Then there are several pages for contacts. And there are several notes pages. At the back of the book is a double-sided pocket, and a clear plastic page marker. Below you can see how to use the page marker. You can use it at the top or bottom of the pages. For some reason I turn my pages from the bottom. The August to August Calendar Organizer is available from Mixed Role Production's website. They have excellent customer service and I highly recommend them! They also make a January-start version of this planner with all the same features. It is due out in early September and will be available on their ordering page. Warning: they sell out quickly! Mixed Role Productions ships all over the world! You can contact them to ask about international shipping rates. You can find Mixed Role Productions at www.mixedroleproductions.com and be sure to follow them on Facebook too! I purchased this planner with my own money. I am not affiliated with Mixed Role Productions and I did not receive any compensation for this review. I am just a satisfied customer! literally the best calendar ever. I've used one off and on for 20 years or more and haven't found one better. I have been using this calendar for over 20 or even 25 years! I absolutely love it! I would buy it locally at one of our office/school supplies store but one year they stop selling it. Since then, I just order it from the company. And, I love your review. I love hearing about people using the same planner for years and years! I love this calendar too. I'm on my fifth year. I chose Ocean Blue this year. I always loved this planner, I lost the info to order another years ago and just found it again.. I'm definitely ordering this planner from now on!! 2017 Plannerisms planners are now ready to order!